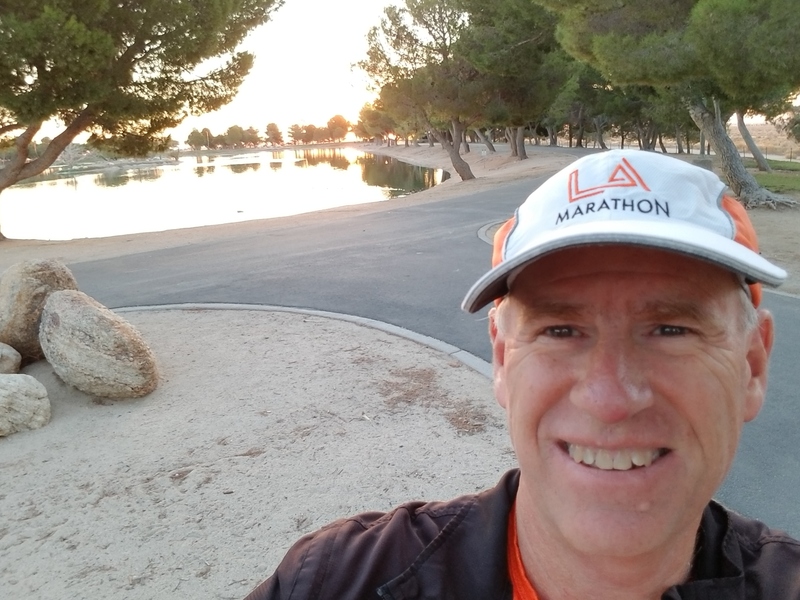 Monday- Typically I would GO on Monday but since I rode the Elliptigo 62 miles Saturday, I opted for a run with the Hillview team – easy – 4 miles. Tuesday is speedwork day- I am having the team do my Secret Weapon workout for a few weeks on Tuesday, so I joined them for both the morning and afternoon practice. Each workout included 4 x 2 minutes uphill working our way from 45th and N up 45th and N8 to 50th. After each rep I and most of the team had to back track a bit and start the next rep a little lower on the hill than where we ended the previous. Once crossing 50th, our last two reps were 3:30 and the goal is to get a half mile up the hill from 50th to 55th and then up into the houses. My results between morning and afternoon where similar, I fared a little better in the morning…. it was MUCH windier in the afternoon making it an uphill and upwind workout. After these two workouts I opted out of the evening HDR workout. Wednesday – commute to school on the GO – 12 miles – My team did sweet 16 and I did most of the drills with the students. Thursday – the team did a 2×4 trial run. I ran the morning version as a Tempo finishing the 4 in 30:15 – my 2nd fastest time on the Strava segment. Friday – commute on the GO again, another 12. Saturday – Today I headed over to Apollo Park for our 1st official club “Apollo Rising Run.” The idea is that people could come out and get in whatever workout they need at whatever time they like. We would still be able to say hi and communicate a little as we pass each other. A number of people have expressed interest but I was not sure anyone would show up. I told some people I would start at 7. I got there 10-15 minutes early and relaxed. I saw one lady run by. No one came so I started my run at 7. The lady just happened to be coming by as I was getting started. She stopped my asking if I was High Desert Runner. She was Althea Bogle. She was running counter clockwise. I knew I would be much faster so I ran clockwise. It worked as I thought it would. We said hi, gave each other encouragement, counted off laps. It was nice to have someone out there even if we were running completely different paces. She had done 3 before I started and continued till 7. I finished 7 before her…. I had an awesome run. I was trying to run easy the first 6, which would be 8:30 to 9 pace, but after the first I averaged 8:18. For my final mile, number 12 I let it loose – running it in 7:14! 10s under my current 10K pace! As I ran the last two I noticed that Alan Brown had arrived. We chatted a bit before I headed home and he headed out to jog/walk a couple miles. Later he texted that Charlie Horn made it as well. So, we had 4 HD Runners out there. I still believe this will be fun when it catches on. And if it doesn’t, I still have an excuse to go to the park and work on faster long long runs!